Jonathan G. Michie is pleased to return for a second season as an Apprentice Artist with the Florida Grand Opera. During the 2009-10 season, he was seen as Normanno in Lucia di Lammermoor, Fiorello in Il Barbiere di Siviglia, and Dancairo in Carmen. Michie has performed with a variety of organizations and venues including: The Santa Fe Opera, The Ravinia Festival, Florida Grand Opera, Lake George Opera, Chautauqua Opera, Mercury Opera, The Spoleto Festival USA, Ohio Light Opera, Musica Sacra, Alice Tully Hall at Lincoln Center, New York City Center, The Buffalo Philharmonic, and The Rochester Philharmonic. He is the recipient of awards from the Kurt Weill Foundation’s Lotte Lenya Competition, Licia Albanese/Puccini Foundation, Schuyler Foundation for Career Bridges, Palm Beach Opera Competition, Lotte Lehmann Foundation, and was a Regional Finalist at the MET National Council Auditions. 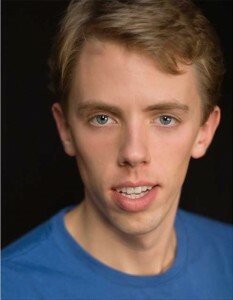 As an actor, Michie has performed with Off-Broadway and regional theaters and is a member of Actors’ Equity.